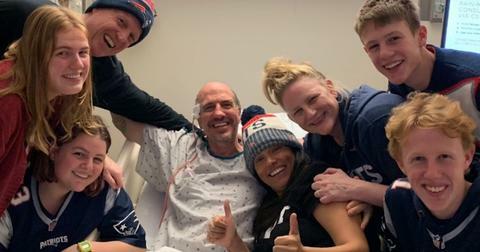 Shortly after the birth of his first child, Scrubs star Sam Lloyd — known for playing Ted Buckland on the medical comedy series — was diagnosed with lung cancer. Now, Scrubs producer producer Tim Hobert and his wife Jill Tracy have started a GoFundMe page that will allow the actor's fans to donate to help with his upcoming medical expenses. On the campaign, Tim shared Sam's current condition with followers. "Midway through January, Sam began to experience headaches and he had lost 10 pounds. 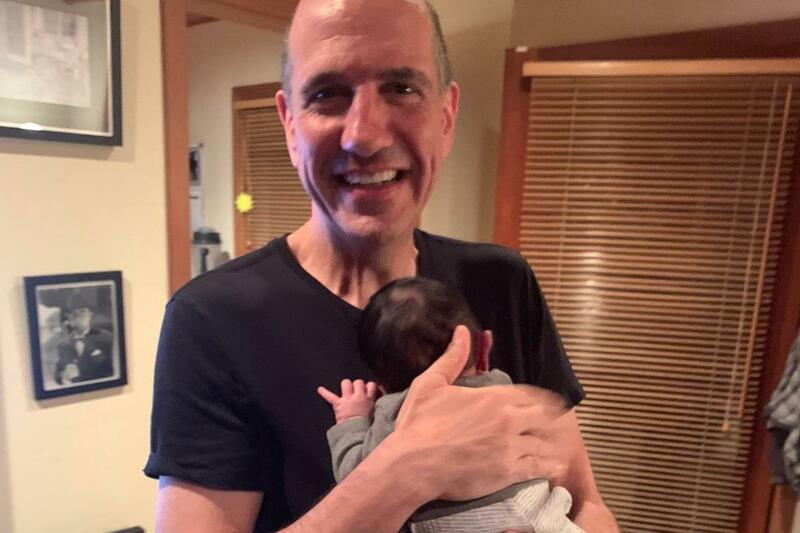 He figured the headaches were caused by the lack of sleep that came along with his new role as Daddy," Tim wrote. "On Thursday, January 17th, as his headaches grew stronger, Sam decided to go to the doctor. The doctor thought the pain might be sinus-related so he ordered a CT Scan. The scan revealed a mass on Sam’s brain. Within a day, he was in brain surgery. Unfortunately the tumor was too intertwined so the surgeons couldn’t remove it. By Sunday, Sam and Vanessa were informed that the cancer in his brain had metastasized from his lungs. Further scans showed the cancer was also in his liver, spine, and jaw." As expected, Sam is handling the devastating diagnosis with his signature sense of humor. "In the face of this devastating news, Sam and Vanessa have been incredibly strong and positive. Humor and laughter, which have been a huge part of Sam’s life, will undoubtedly help him with what lies ahead," Tim added. "Sam is, simply put, a sweet, kind, and generous soul. Through his music and acting, and most of all his friendship, he has blessed all of our lives immeasurably." So far, the campaign has raised over $90,000 in two days – nearly hitting its $100K goal. But Tim hopes Scrubs fans unite to show their support for Sam — who has a long journey ahead of him in the coming months. "As Sam and Vanessa face the challenges ahead, they will both have to put working on hold. 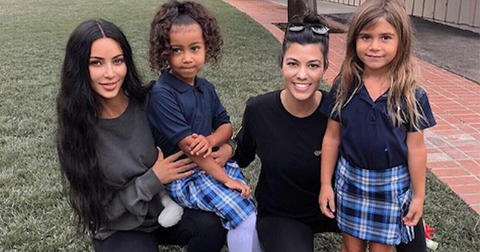 There will be a range of medical, childcare, and other expenses," Tim explained. "We are asking for your help so our dear Sammy can use the time ahead to GET HEALTHY, spend time with his wife, his new son, and his wonderful friends – and to borrow the title of the new song Sam wrote for his show... 'Make Music Along The Way.'" 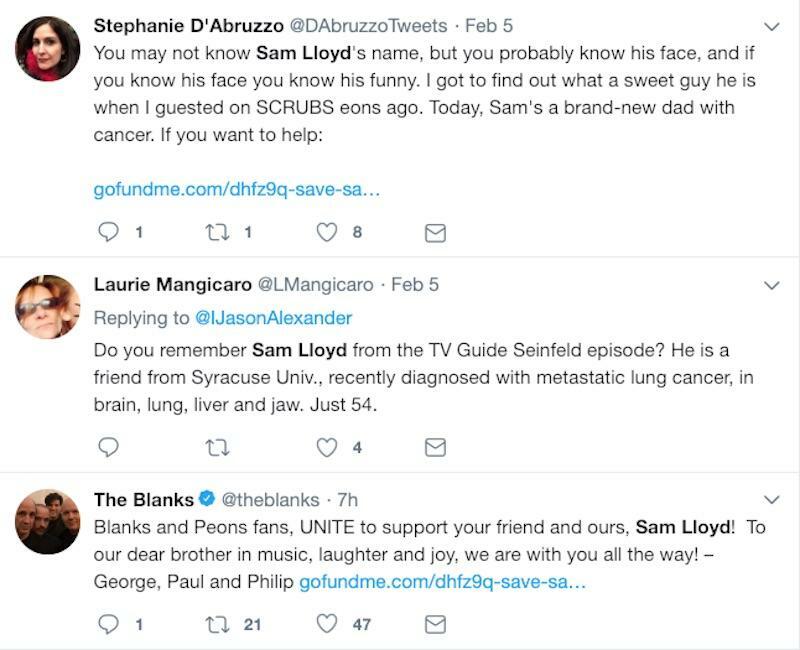 Scrubs creator Bill Lawrence also shared the GoFundMe page, tweeting, "This is Sam. He was Ted on SCRUBS. He’s a pal. 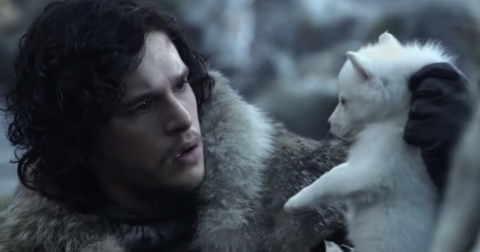 Just had his first baby. Get involved if you can. I am." Zach Braff also showed his support, writing, "Tragic news from our beloved Sam (aka, Ted the Lawyer). I will of course be getting involved. Please send him your love." Fans sent Sam love on social media, with an outpouring of messages across all platforms. 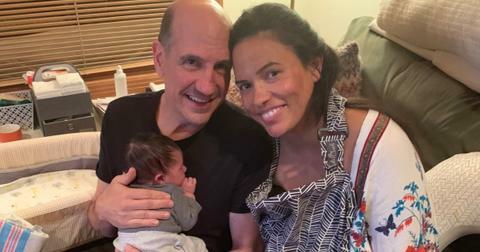 Sam welcomed a baby boy, Weston, with his wife Vanessa in December 2018. To donate to Sam's GoFundMe, click here.